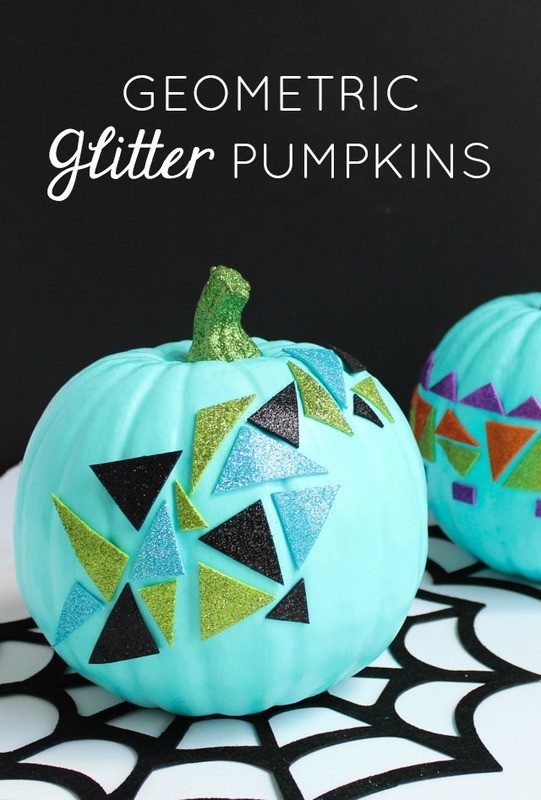 These modern geometric glitter pumpkins are as simple as peel and stick! 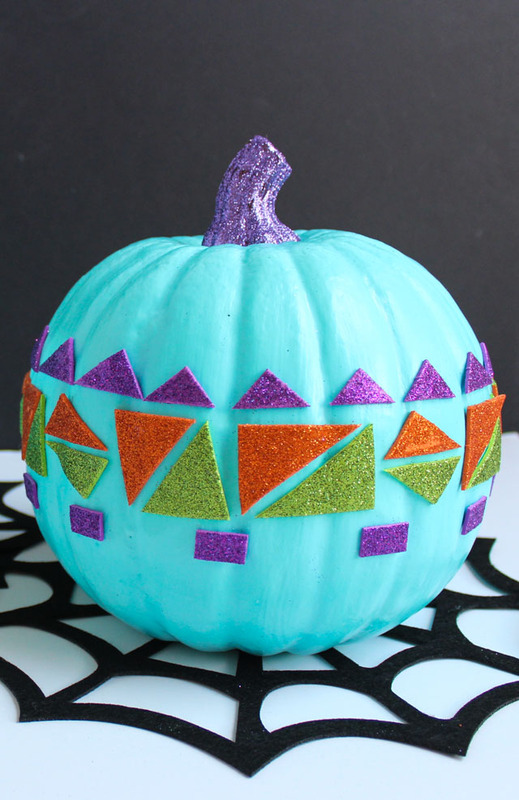 For this project with Oriental Trading, I used their precut foam glitter stickers and stuck them on a foam teal pumpkin. 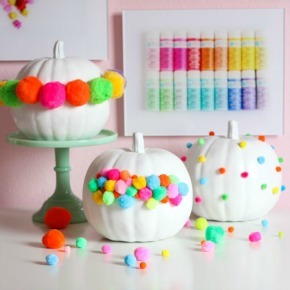 You can make these in 15 minutes and have your kids join in on the fun. 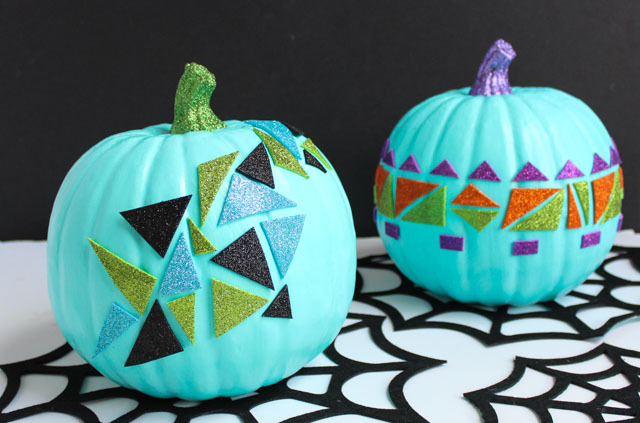 The sticker packs comes with a variety of colors and sizes of triangles and other shapes. 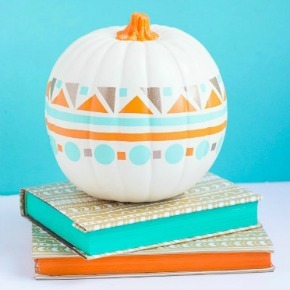 I picked my favorite color combinations and added them to the pumpkin in a repeating design. 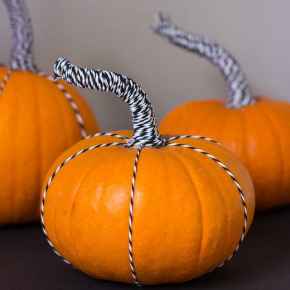 I didn’t try to be too exact, I just eyeballed where I placed them. 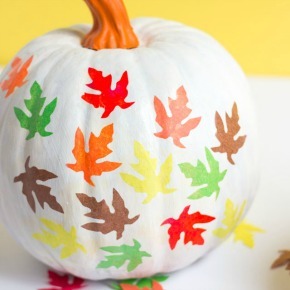 If you need to reposition a sticker, just peel it off and re-stick it! 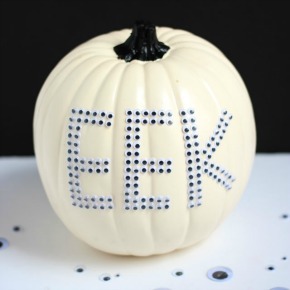 Using pre-painted pumpkins helped to cut down the crafting time. 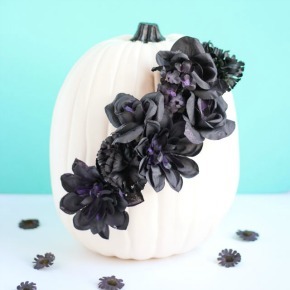 These teal pumpkins are often used on the front porch on Halloween to indicate you have allergy-free treats for trick-or-treaters, but I think they can also make for a fun pop of color when mixed in with your other Halloween decor! 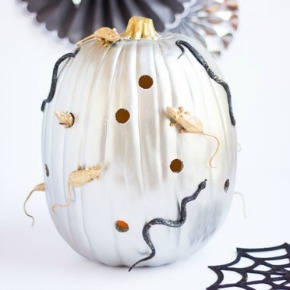 I finished my pumpkins by covering the stems in glitter for an extra bit of sparkle, but that is optional if you are short on time. 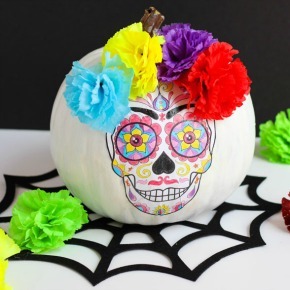 Head to Oriental Trading’s Fun 365 Site for the step-by-step glitter pumpkin tutorial and full list of supplies!